Co-author of the study Professor Roger Whitaker, from Cardiff University's School of Computer Science and Informatics, said: "We believe that the pressures of time and memory influence the results that we are seeing – we may remember and use a few popular apps, such as those that get embedded in habits, and then there is a long tail of less popular apps that we dip in and out of. 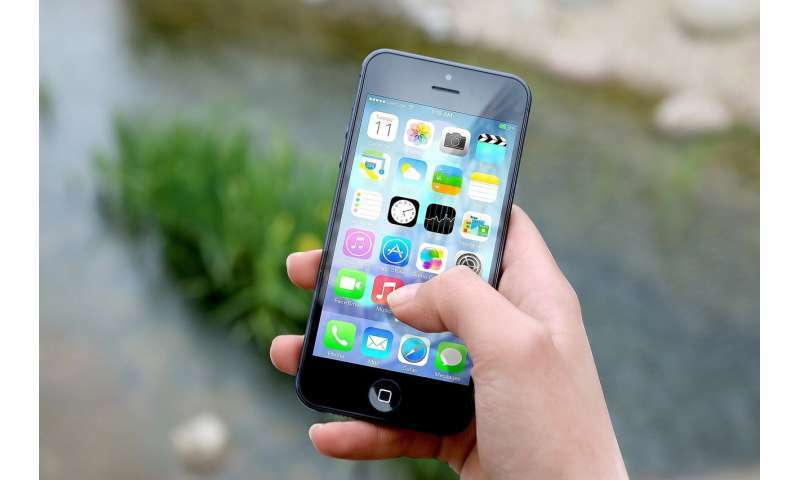 Lead author of the study, Dr. Liam Turner, from Cardiff University's School of Computer Science and Informatics, said: "It is fascinating that despite variety in our smartphone usage, our behaviour is similarly structured and driven by a handful of favourite apps, within which we have a clear ranking." To arrive at their findings, the team monitored the app switches of 53 volunteers over a 6-week period through a bespoke app called "Tymer." Across the entire period, the volunteers made a total of 192,000 app switches on their smartphones. On average, each of the participants had around 60 individual apps on their smartphones and made an average of 87 app switches a day. WhatsApp was shown to be a user's most popular app, with 34 per cent of users having this as their top app, followed by Facebook with 21 per cent of users having this as second most popular app. Following on from this study, the team are now looking at how app-switching can be related to addiction and mood.